For Wesley Hooper there was no eureka moment when he realized that he wanted to become an entrepreneur, it was a slow burn, and a decision out of necessity. That necessity was that he kept killing his tomatoes! A hopeful gardener, he would spend all spring tending his crop, then go away for a weekend in summer and forget to ask someone to water them, returning to a withered mess of destruction. Not wanting to use a traditional irrigation system, which he saw as ugly and wasteful, he set about creating system that achieved his needs. His plan was solidified while on a University exchange in Switzerland. 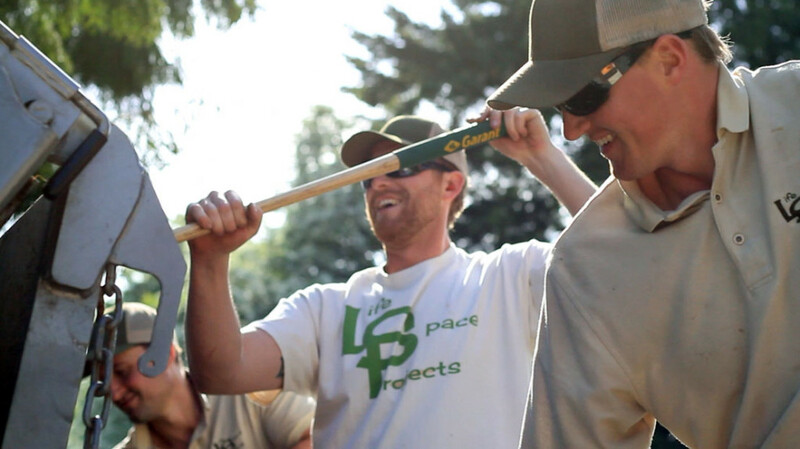 When he returned to Canada he created his first LifeSpace Garden prototype, and it worked! “I only watered my 5’x8’ raised garden five times the entire year and grew an epic yield of vegetable,” he remembers. With a successful prototype under his belt, Wesley became consumed with his idea and dropped out of University to pursue it full-time. A bold move, but not totally fool hardy: “I was putting myself through University by performing renovations and carpentry, so I had a safety net,” he explains. He convinced a good friend and fellow carpenter, Cooper Pantages, to work with him, and started to build the business. One of Wesley’s first ports of call was Small Business BC. Working closely with one of our Business Plan Advisors he developed his business plan and applied for funding with Futurpreneur (formally CYBF) and Vancity. Futurpreneur helped Wesley with a low interest loan to help him purchase some of the key equipment and provided him with a mentor who he says has been a “great sounding board for small and big decisions”. When asked who inspires him, he admits that as corny as it sounds he tries to take inspiration from everyone he meets. “It helps me keep things fresh and my mind open,” he explains. “It also gives me a constant appreciation for everyone in my life.” The key he says is not to be afraid to ask questions, relentless questions! “No matter what situation you find yourself in, find a way to define it for yourself,” he advises.